Skate the night away at these roller skating rinks in PA. Skating rinks in PA for all ages to enjoy. Family Friendly Skating in PA! Spend an afternoon of fun at this unique rink! Very affordable and family friendly, The Castle offers several special themed sessions each week. 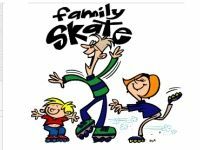 This great Lancaster PA skate rink has rentals of quads or inline skates for all sizes and a skate shop where you can buy replacement skate parts for your personal roller skates. Learn how to roller skate at The Castle! Roller skating lessons are offered every week and need to be booked in advance. 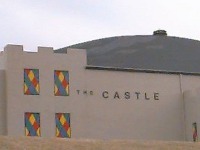 The Castle is also available for your next party or fundraising event if you are looking for something different to do. Great Place for a Skating Party! Fountainblu Skating Area, a family owned business for over 15 years, is an affordable skating rink with tons of amenities! Open Friday to Sunday and on school holidays, this PA skating rink offers live DJ music and skating games on the weekends. Enjoy the music and skating in the main rink, practice skating in the mini rink set aside especially for beginners, or take a break and sit at the snack bar for a refreshing drink. Have your next kids party at Fountainblu! They have several party types to choose from including a pizza party, a blacklight party, and a hockey party! Private rink rental and group rates are available. Fun Roller Skating in Philadelphia! 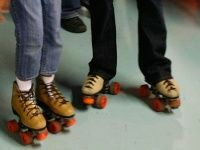 A great way to get exercise, roller skating is a wonderful and social activity. Bring the whole family, or bring a date and go during the adult night sessions offered a couple times a week. Try out the skating lessons no matter your age. The lessons are broken into categories of pre-school/kindergarten, learning to skate, and advanced skating where you can even learn to skate backwards! The skate shop carries not only skates but also accessories including bearings and wheels available for sale. 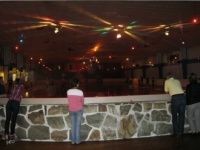 This Philadelphia skating rink is also available to be booked for private parties several days a week. They offer packages for both children's and adults' birthday parties. Palace Roller Skating and Fun Center and has both daytime and evening sessions throughout the week. If you're looking for skating rinks in Pittsburgh, look no further! Neville Roller Drome has several types of skate sessions each week. Weekend afternoons are family oriented and a great way to spend time with your kids while the evening sessions with a live DJ are sure to get you dancing. 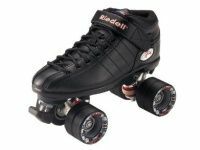 Rentals for both quad skates and roller blades are offered at affordable prices. Beginning, intermediate, and advance skating lessons are taught by the friendly Roller Drome staff. Put your next birthday party on wheels and have it at this rink! A great place to go roller skating in PA! A PA Skating Rink of Huge Proportions! 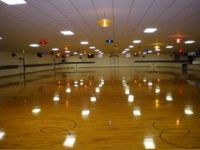 Boasting the largest hardwood skating floor in central Pennsylvania, Olympic Skating Center can offer you and your family a great day of activity and fun. A snack bar and an arcade area with lots of games and prizes offer a fun break from skating. 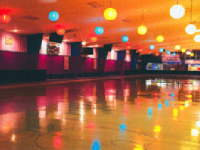 This skating rink PA can host your next private party or birthday party. Several types of skate teams call Olympic Skating Center their home. Find out more about joining on their website! Skating lessons are available every Saturday with private lessons available for booking. Olympic Skating Center's Pro Shop has skates for sale as well as skating accessories. A Great Place to Skate in Berks County! Birthday parties are the specialty at Fantasy Skating Center, where you'll have access to all the family fun that skating affords! No matter who you are, it's never too soon (or too late) to skate! They have lessons for toddlers, as well as events for seniors to brush up. Fantasy Skating Center prides itself on the quality of its "epoxy coated, maple, hard-wood floor" which they bill as "one of the best in the Eastern United States." Try it, and see! Specials are available every weekend with their Saturday Morning Skate, where kids get in for only $2.00! And adults can enjoy Organ Night every Sunday! Don't miss out on their affordable birthday party specials! Ask About the Ultimate Thunder Party Package! The Rolling Thunder Skating Center in Philadelphia is All New! This is a great place for your next birthday party, church event, or family reunion! Their Ultimate Thunder Party Package starts at an affordable rate, and comes with everything you need to have a good time including reserved seats, your own party attendant, colorful invitations, balloons, pizza, soda, ice-cream cake, and much more! Plus, adults skate free at your party, so Mom and Dad won't miss out! Don't miss this opportunity to get in on one of the best kids' parties you've ever had! Jamz Roller Skating wants to show you how much fun skating in PA can be- check them out! Skating Fun in the Poconos! Big Wheel Roller Skating has been providing the Poconos with family fun ever since 1977! They have everything you need to enjoy a night out on the rink: skate rentals, great music, delicious snacks, and more! Big Wheel does a little bit of everything- they can accommodate birthday parties, youth groups, private parties, and even youth hockey leagues. Ask about their programs before and after school, as well as Camp Big Wheel in the summer! They have great, affordable specials you'll love like Monthly Memberships and Unlimited Skating Monday! They have weekends for Tiny Tots, and their Discotheque on Skates for adults late into the evening! No matter how old you are, you'll find fun waiting for you at Big Wheel Roller Skating! It's Time to Skate and Dance! The Skateway in Bethlehem has great events and specials all the time! Their public sessions are a fun way to get some exercise at a price you can't beat; it's more exciting (and has better music) than your local gym! Every Wednesday of the month, you'll find something to love like Scout Night, 80's Retro, Item-of-the-Month Night (featuring free admission) as well as 60's Sock Hop. Check the schedule on their website to pick the best night to try! This is also the place to reserve a party you won't soon forget: fill the whole facility with friends and family, and bring your own cake! They even offer a Volunteer Skating Instructor on Wednesdays and Saturdays for those looking to brush up their technique. Roller Skating PA is always fun! Try Premier Skating in Pittsburgh! Romp n' Roll, "Pittsburgh's Premier Skating Facility," is the place to go for all the skating action you're looking for. There's something for everyone; general skates on Sunday for the beginner, hours just for tiny tots with Disney music, an Adult Organ Skate (with classic organ music, coffee, and donuts) and everyone's favorite Roller Derby! It just doesn't get much more fun than skating at Romp n' Roll; it's affordable, and good for you too! This is also a great place to host your next party- they have packages for all occasions like V.I.P Parties, their all-inclusive MEGA Parties, and even Summer Specials! Romp n' Roll makes Roller skating in PA fun, healthy, and, best of all, easy! Public & Private Roller Skating in Philly! 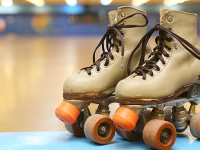 Enjoy a fun-filled day trip or plan your child's next party at Rolling Thunder Skating Center! Open for both public skating and private parties, this Philly skating rink is the perfect fun spot for kids and adults alike. Offering various birthday party packages for kids and teens of all ages, Rolling Thunder has custom accommodations for every party and event. Don't worry about the inexperienced skaters - "skate mates" are offered to assist your young ones in safely learning how to skate. Stop in for public skating from Monday through Friday from 10 am through 5 pm, Saturday from noon through 11 pm, and Sunday from 2 pm through 9 pm, or call to make a reservation for a private party. 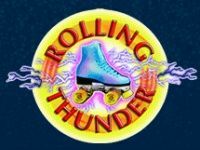 Enjoy an exciting skating experience, delicious pizza, cold sodas, and an all-together fun time ay Rolling Thunder Skating Center. Skating Fun for Kid & Adults in Philly! Serving Philadelphia for over 25 years, Palace Roller Skating Center is a premiere Philly skating destination for kids, teens and adults alike. Offering accommodations for private parties, group fundraising events, and open skating, this Philadelphia skating center has what it takes to turn your boring afternoon into fun. 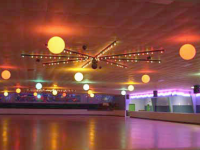 With an outstanding sound system and light show, your Palace Roller Skating Center experience will be an unforgettably fun time. Public skate is offered on Wednesday from 6:30 pm through 11:30 pm, Thursday and Friday from 6:30 pm through 9:00 pm, Saturday from 11:00 am through 12:30 am, and Sunday from 11:00 am through 4:00 pm. Also call now to set up a private party event on Monday through Friday, or set up a private skating lesson for your little one. Affordable & Fun Roller Skating near Philly! 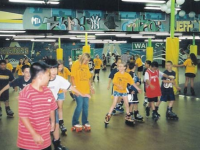 Located only fifteen minutes outside of Philadelphia, Millennium Skate World is one of the Philly area's top skating rinks. Offering children's, teen's and adult's birthday party packages, Millennium makes custom accommodations that will make your event perfectly fit for you! With packages starting at only $8.99 per person, planning an unforgettable party for you child is affordable. Equip with pizza, soda and rentals, the various birthday party packages have everything it takes to throw a great party. Don't miss out on public skate on Monday through Friday from 10 am through 4 pm, Saturday from 7 pm through 10 pm, and 2 pm through 6:30 pm. Refresh yourself after a long day of skating at the Roller Cafe, and grab some pizza, a hot dog, wings, and more! Private Parties, Public Skating & Special Events near Philly! Along with private parties, public skating is also offered on Wednesday from 5:30 pm through 8 pm; Thursday, Friday and Saturday from 7:30 pm through 10 pm; and Saturday and Sunday from 1 pm through 3:30 pm. In addition, don't hesitate to inquire about private skating lessons. Children Skating Lessons & more near Philly! 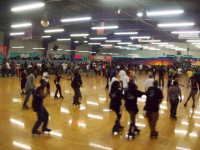 Serving the Philadelphia and South Jersey area, Cherry Hill Skating Center specializes in private skating parties, group fundraising events, and open-skating excitement. Accommodating private parties for a wide variety of groups and occasions, including birthdays, sports teams, schools, day care centers and churches, Cherry Hill Skating Center offers a large selection of party packages and prices. Leave all the work to the friendly party staff, and enjoy your child's party just as much as they will. 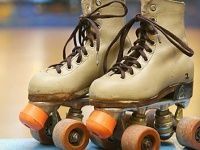 If you're looking for some good roller skating lessons for your child, look no further; Cherry Hill Skating Center offers pre-school and youth skating lessons and more! Stop in for open-skating on Friday from 7:30 pm through 10 pm, Saturday from 10:30 am through 5:30 pm, and Sunday from 12:30 pm through 5 pm.